It's hard to think about language as being endangered or replaceable. But as our culture and means of communication evolve, certain languages find their utility in decline. Braille and sign language are in just such a predicament. Technological advancements such as voice-to-text, digital audio, and the cochlear implant have steadily decreased the demand for these once-revolutionary facilitators for the disabled. WNPR's Colin McEnroe Show heard from members of the hearing and visually impaired communities about this controversial shift in their culture. Below is a transcript of the conversation. COLIN MCENROE: Sometimes shows that we do kind of emerge in a complicated way, or a felicitous way, or a serendipitous way. What happened here was that producer Josh Nilaya, he wanted to do a show about something or some things that might be considered or labeled as endangered. And we talked about a lot of different things and we kept coming back to languages. And then Josh went away and thought about this some more and talked to some more people about this, and he came back and he said I want to do a show about the controversial status of American Sign Language and Braille, both of which, because of changes in technology, are facing a decline, and what that would mean for people who use those languages. So that's what the show is. And right now, you're listening to something that we are recording in advance. We may have to edit it a little bit just for a time and smoothness, but we're attempting something that we haven't attempted before, which is to interview somebody using sign language. And the person we're going to interview is Jeff Bravin. He is Executive Director of the American School for the Deaf, here in West Hartford. He's also a member of the deaf community, and will be speaking through his sign language interpreter, JK. So Jeff, welcome to the show. ASL Interpreter JK with Jeff Bravin, executive director of the American School for the Deaf in West Hartford, and member of the deaf community. JEFF BRAVIN/JK: Thank you very much for having me. I'm looking forward to having this conversation with you today. COLIN: So I'm going to ask you to begin just by describing the controversy. The controversy revolves to a certain degree around something called cochlear implants. This is a relatively new technological change that allows people in some cases, who have been deaf for a long time, to hear or to hear better than they otherwise could, and also for relatively young, almost newborn children to have these cochlear implants so that their hearing improves from the time of birth. Set against this are a whole set of values that define the culture of the deaf community. Tell us how you see the tension between these two things: cochlear implants and sign language. JEFF/JK: Like any technology advancement in history, I grew up as a deaf individual but when I was young there was no captioning on TV, I couldn't follow. TV programs. I would guess at some stories and what they might be about, but technology changes -- people have always changed according to technology and the issue with the cochlear implants and digital hearing aids, as well, I should mention -- both are very advanced technologies that help deaf individuals to hear. Deaf people at first felt very threatened by this new technology, like this was going to take over everything and change deaf people. But honestly, cochlear implants have been around for more than ten years now, and the technology changes slowly, it doesn't change overnight, but we have noticed even at our school and other schools for the deaf around the country, there are many students with cochlear implants. In our school, we have about one third of our population that has a cochlear implant. Bottom line is even if the implant is off, they’re deaf. If the implant is on, some kids do really thrive and they benefit from an implant--they can hear everything. But for most of the set we've seen, they just hear sounds, background noises environmental noises, they don't really hear specific sounds. And that's the reason that we're strong believers and teaching sign language, so they have the benefit of both worlds, both sign language and spoken language, if it does work for them. COLIN: Aren't there other reasons as well? Reasons that are cultural reasons? My sense is that, despite the fact that change has been gradual in the way that you describe, there are tensions about what happens when some high percentage of the deaf community goes through a change like this and decides, because of the cochlear implant, not to study American Sign Language. My sense anyway is that the argument hasn't gone away. JEFF/JK: No, the argument has not gone away. I'm a deaf individual. I’m unusual in that I’m fourth generation deaf. My parents, my grandparents, were deaf and sign language was my first language, my natural language. So you have the technology trying to change the nature of who I am. That's where the threat came from for many people, deaf individuals, threatened, felt threatened by the change. People were trying to do something with the -- change who I am as a deaf individual, and God created me and made me who I am and I want to stay who I am. I function just fine, I get along fine. That threat is still there, and it is real. The concern among deaf individuals, that parents make decisions to have young children implanted without the child having any say. Will this work for the child? Maybe the child would like to remain deaf. Maybe the child has a good life as a deaf individual, so that's part of the controversy as well and it's still true today. COLIN: Some people listening to what you say would find it hard to understand. I think a lot of people assume that one hundred percent of deaf people, given the opportunity to be no longer deaf, or to have hearing and speech that were assisted by a technological implant, would make that choice, would not voluntarily choose to remain deaf. Explain why somebody might make that choice. JEFF/JK: That's very good question. Like I said, if I had a cochlear implant now, and that I would be able to speak and hear everything, honestly I'm not sure if I would want that. Because I’m happy as I am. So it's hard to really answer your question, but parents, if they have a baby, and they find out the child's deaf, ninety five percent of deaf children are born to hearing parents. So parents, of course, when they have a child, their child has a hearing loss or any other disability, of course the parent would do anything and everything to make their child quote unquote normal, so that they can communicate with their child as well. If they see that there’s some technology available that could make my child here, of course they are going to go ahead and do it and I don't blame them for that. I get that. But before they do anything I encourage parents to understand all the ramifications and all the issues related to having an implant. I see children with implants who can speak very, very well. I see others who cannot function even as a normal deaf child so it has pros and cons. As an educator and a deaf parent, I encourage auditory and speech training and the learning of sign language. Because if one thing doesn't work, they will have language access through American Sign Language. If the implant doesn't work, but let the child grow, let the child develop language because acquisition of language happens between birth and the age of seven. They can’t pick it up later on so if you focus on that one thing by the age of five, they will have lost all that opportunity to acquire language if you're focusing so much on spoken language only. And I think there's many people the deaf community that feel as I do. COLIN: We're having a conversation, a remarkable conversation, for me anyway, with Jeff Bravin, Executive Director of the American school for the deaf here in West Hartford. He's a member of the deaf community and he's speaking to me through his -- and to you now -- through his sign language interpreter JK. This is just a fascinating thing to do I think. This seems like a new argument, but in some ways isn't it kind of an old argument? There's been a long standing argument within the deaf community, sometimes referred to as the difference between oralism, or audism versus manualism. This goes back to at least Alexander Graham Bell, and you can see it in play in Children of a Lesser God, too: the question of should deaf children learn lip-reading and speech, and essentially mimic the behaviors of the hearing community, or should they have what is essentially their own language. JEFF/JK: It's been an argument for many many years and it's still an argument today. In Connecticut, there are some schools that believe sign language is the best way of communicating for deaf children there are some that believe an oral method is the best way, and really, right or wrong, people have a choice—people have a choice which gas station they stop at -- but over the years people who strongly believe in cochlear implants and digital hearing aids, they've had a strong influence. If you speak every day the child will pick up language and be able to hear and be able to speak well, and honestly I've seen evidence where some children do succeed at that and I've seen evidence of many children failing as well, because our average age of a student coming to our school is the age of fourteen. Fourteen years of age and failing out of the public school, of no language before people finally realize we have to send them to another school, a different place, and that's wrong. Research has already proven, especially with the visual language, visual learning VL2 research sponsored by the National Science Foundation at Gallaudet University, they're doing brain imaging. And it proves that children acquire language visually, and bilingual students outperform monolingual students. The research is there. And also they have found that children who learn sign language will not, it will not in a negative way impact their ability to learn or speak. So my question is why have students or children being trapped in a situation where they may or may not learn? Why not give them everything? Access to everything? Early language back acquisition, so that they can become a normal child, and then one day they'll have a choice, as any person chooses a path that they want to conduct their life long. COLIN: So one of the problems with the gas station metaphor could be if nineteen people went to one gas station, and one person went to another, after a while that other gas station would die out. It wouldn't have enough customers. And I would think one worry would be that American Sign Language needs a kind of critical mass of people doing it for it to be effective, and also for there to be the incentive to offer it as an accommodation. For example, in some of the public appearances that I do, I have Les Warren or some other wonderful signer from the community here signing for me because it's understood. That's a necessity. There are enough people who use sign language. So that it's important that they be communicated with that way. But if that number gets smaller, if it gets narrower, I would assume there'd be some nervousness about what happens if fewer people start to use ASL. JEFF/JK: I think it depends on the community that you live in. If you live in Maryland, D.C., or Virginia the community is quite large. The concept of a signing community shrinking as almost impossible but Vermont, Maine, a place like that, some rural isolated areas, the deaf community has dwindled in numbers. And it's sad to see that happen. Here in Hartford, the community has been pretty stable. Our number of students has remained stable. And I think it depends on where you live. But people are moving where there are more signing people, they're moving to communities that have more deaf people. I don't want to say that ASL is in a decline. The number of deaf and hard of hearing persons in America has gone up. If American Sign Language still is the third most used language in the United States, even in the state of Connecticut, this year I believe, there were three public high schools that are starting to offer American Sign Language as a world sign language, and next year, I think there's going to be eight that will be joining the bandwagon. Because in fact there is a growth of requests for American Sign Language in this state, and there's plenty of jobs for people that know sign language out there: Interpreters. Educators. There are people that can help if they know sign language. And I'm not sure if American Sign Language itself is really dwindling. It just depends on where the community is, I think more and more people are moving to communities where there is a larger mass of deaf people. COLIN: We've been talking, Jeff, mainly about American Sign Language as a technique that has educational and pedagogical consequences. It may create certain cognitive advantages by learning it. That's the kind of thing that you've been talking about. But there's another side to this, right? American Sign Language is a culture. It's a culture with not only cultural implications, but psychological and emotional implications. If I'm a hearing father, I have a deaf child, and I learn ASL to communicate with my child, a certain kind of bonds takes place. An emotional exchange has gone on. A psychological exchange has gone on. And then we also join a culture. Not for nothing, is there a play about this called "Tribes". There's something there, too, right? This isn't just about how well you perform educationally, how well you learn things, there's these other concerns are there too right? JEFF/JK: Yes. Deaf culture is very unique. It has its own norms its traditions its folklore. American Sign Language is the language within the culture. And it is the culture within a culture. But when people go out, you know it's like, you are normal. I call deafness the invisible disability because if I passed by somebody in a mall, nobody would know that I was a deaf person. And I hate using the word disability. I have my own stories. I have my own jokes, as do other deaf people, we have our own ways of seeing things. We have things that hearing people view as possibly wrong, we need to change their perceptions, sometimes we make jokes out of that, so that's all part of the culture. But when a child is born and deaf, for a parent to understand what the child is going through, it's best for the parent to be in that culture. And that way they can appreciate the life of a deaf individual as well. COLIN: Technology is moving very fast. We've talked about cochlear implants. You've made reference to digital hearing aids. But already, we're carrying around smart phones in our pockets that can do all kinds of things, and they get smarter every six months, and smarter every six months, and I wonder if we're going to be having the same conversation in five years. If there's going to be ten new apps that do things that we're talking about right now. Ten new apps that create portable closed captioning or, I'm sure you have a better grasp of what's coming what's in the pipeline than I do. But I'm just wondering how fast is this moving? How fast are the changes coming? JEFF/JK: It's moving faster than almost light speed honestly. Every single solitary day there's something that's coming up for deaf people. Right now with mobile phones, E-mails, video messages, I mean if I were to send you an e-mail, you wouldn't know I was deaf unless I told you I was deaf. Without me telling you that you would never know. Ten years ago there was no way that you would have missed that, but with video relay with the interpreter services, I can make calls to you through an interpreter. The interpreter is probably from Texas or somewhere but I'm using my mobile phone, I can sign to the interpreter, who is in Texas or wherever the person's located, and that person calls you and speaks to you and they sign back to me and I can do that right on my smartphone. The new things coming up is the virtual reality. They're glasses and you're in the same room as the hearing person. And you can have a conversation with that person and the interpreter is somewhere out in the world. You don't know they where they are, but it's going to feel like a normal conversation like we're having right this minute. Like this interpreter doesn't even exist. That's what virtual reality is going to do next, and in fact, in a research lab, they were just talking about that there's a virtual reality where you can have a hearing person holding the baby and the hearing person will know that the baby's crying through the virtual reality, and the virtual reality will be able to teach a person, through the computer, to sign back to that baby to help the baby understand so the baby will calm down. Oh my God! I would never have ever thought about this five or ten years ago. I mean what's it going to look like in the next five or ten years? They say we're going to have a holograms, and they will be our interpreters. It'd be nice to have a lot of different holograms all over the place floating around. I don't know what it's going to be like, but they're telling me that's what it's going to be like! COLIN: Alright, I can tell from your body language that this is on the one hand, thrilling and exciting for you, but probably not a replacement, once again, for American Sign Language. And I'll just add to that, this is now the longest conversation I've ever had with anybody using American Sign Language. And there's a humanness. There's a humanity that's happening here because of your facial expressions. Your body language. Your occasional vocalizations. There's something happening right here between the two of us that can't probably be expressed - digitally at least. I would think that you would think that and based on what's happening here, I'm inclined to think that too. JEFF/JK: You're right, it's true. For me, facial expression is critical. Even though I have an interpreter here, I'm still looking at you as well because I want to see your expression. I want to see if you're getting what I'm really trying to say. Because it's a very complicated issue. For some people, it takes years and years and years for people to finally get it. For other people, they get it right off the bat, like you do. You get it. It's really fascinating to see where things are going to be going, and at this point, I'm very proud as a deaf person, I believe in educating deaf children. And for every baby that comes into our school, I make every effort to meet them, to introduce them to deaf culture and deafness, because they are our future. And I tell people, since 1988, when the Deaf President Now movement happened, it was probably only ten deaf lawyers in the United States. Right now, there's over three hundred deaf lawyers in the United States, because opportunities are opening up for people, doors have opened up. And there's more and more opportunities for deaf individuals. Some can hear well, some can speak well, some rely on their sign language, but the technological changes has made the world more accessible and more adaptable and accommodating. COLIN: We're talking to Jeff Braven who is executive director of the American School for the Deaf. So, as the leader of a community, you have another challenge, and that's the challenge of leading this conversation so that it's a conversation about differences and about choices, as opposed to a conversation about betrayal, and a conversation about anger, and in my reading, it seems to me that it can very easily veer into that direction. That some people who are deaf who use American Sign Language look at this other set of choices not as somebody going to a different gas station, but as somebody fundamentally betraying a community to which they would otherwise ordinarily belong. So obviously, you don't want the conversation to unfold that way, not under the roof of your school anyway. How do you make it into the conversation you want to be? JEFF/JK: I think one of the issues - I just need to put this out there - Ten years ago, even when implants started, we never imagined that a deaf parent of a deaf child would actually gave a deaf child a cochlear implant. We never thought of that. But it's happening today. Because parents see that their child can hear even to some degree. Other deaf people view this as "you're doing that to a deaf child and I can’t imagine that!". That's a whole 'nother conversation. But for me, it's about language. It's about access to communication, access to the ability to understand one another. I mean I meet parents daily, and children, and when I hear the parents say "I'm not sure if my child learn to sign! Or my child should follow an oral method", I need to get involved in this conversation and tell them it's about language, your child is a visual learner. Offer them both. Don't wait until you see, like some of the other children coming in at the age of eleven or twelve without language, because the parents chose to wait. You know, they chose to, one way or the other. You don't want them to look back with regrets, and that's what I try to emphasize to them. I guarantee them. I'll say "Look at me. I sign naturally, I had my language foundation and I started in the school for the deaf, and when I was a sophomore, I went to a public school I was able to function there. Because I had that language foundation. So I say let us be the experts. Let us provide the appropriate language foundation for your child." And this is what we'd like to do every day, and that's going to be continued to be my challenge for many years to come. COLIN: So in a way this gets back to the genesis of this show for Josh, which is looking at a language. I think for some people, looking in from the outside, American Sign Language, deems at least a half technique, and half language. It's a technique that allows deaf people to speak. Whereas for you, and I think for deaf people, it's a language. Nobody in this day and age would suggest that Navajo should never be learned by anybody. You know I mean? There might have been a time a hundred twenty five years ago where educators would be saying, "No those kids shouldn’t learn their own Navajo language. That's not the language of the outside society, of the dominant society. So it should be driven out of them it should be extirpated. And they should only learn English." I think we understand now that language is culture. Culture is language. So that even if technology changes ten years out from here, which it will, and even if the twelve year old, ten years from now, holding some device in his or her hand, that we can't even imagine, looks at us like, you know, "No! Why would I bother to do such a thing?" What you're saying is no - Language is culture, culture is language, American Sign Language is a language. JEFF/JK: It is a language and I think it's going to be here for a very long time to come. Let me go back to the issue regarding bilingualism. Research has proven that being a bilingual person, the person is smarter. It could be French and English, or Spanish and French, but once you're bilingual you can learn more languages. I just went into your studio, and I met a woman who knows sign language, and that was beautiful! Just being able to communicate with a person who just happens to know the other person's language. COLIN: The woman in question I believe was Chion Wolf. JEFF/JK: You're right. Yeah. It was. COLIN: So that then becomes a cultural exchange between the two of you. JEFF/JK: Right, exactly. And she knew people. She knew people that I knew because the deaf community is so small, so it's a warm feeling. Just to have that happen. You're part of my community. And I'm glad that you took the sign language classes that she took. COLIN: Do you think there's any of this that's generational? In other words, I'm sixty one years old. When I talk to a twelve year old, there are all kinds of things that I either don't get, or the twelve year old thinks I don't get. And the twelve year old is probably thinking, "Oh, this old man is clinging to a lot of things that are important to him. They were important to him ten, fifteen, twenty years ago. They're not so important now. It's just not nostalgia that's driving him yo ascribe importance to these things." Is there any part of the conversation that we're having that could be looked at through that lens? JEFF/JK: We as a school have been here almost two hundred years. We will be celebrating are 200th anniversary actually next year, which is hard to believe. Is it generational? To some extent yes, the view of death education, and the perception of how to teach deaf children has changed over the years. From using full ASL to be totally oral to sign a talk at the same time and now we're back to the use of sign language. There is a generational influence to the philosophical changes, yes. But I think it's more deep-rooted. Honestly like you said I think it's the culture in the language. And I think they're here to stay. Yes, the views will continue to change, perceptions will continue to change, but sign language is going to be here for as long as I live I think anyways, and as long as my children will live as well. Even though my children can hear. And we're here in West Hartford, they're fluent signers.They're bilingual. And they don't view anything wrong with that at all. So, it's hard to say what the future's going to bring. Honestly I look forward to it. I embrace it. COLIN: I've done thousands and thousands of interviews in my life, and this is going to stand out among the five or ten most memorable ones. This is been a really remarkable conversation, I'm so glad to have had it with Jeff Bravin, Executive Director of the American school for the Deaf here in West Hartford. And he has been Interpreted by his sign language interpreter, JK. Both of you have done a remarkable in explaining the topic and helping me and our listeners understand it. I want to thank you for coming in today. JEFF/JK: Thank you for having me. And if you need me, or talk more about what the future may bring. I’d be happy to come back. COLIN: We're going to take a quick break here. When we come back, we're going to talk about Braille. 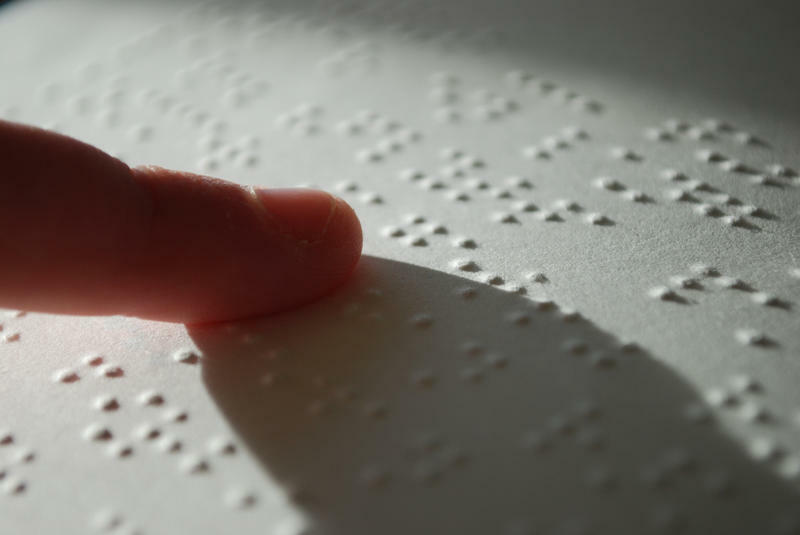 Braille is actually is not a language, it’s a code for reading languages, but it is probably even more challenged by new developments in technology than American Sign Language. You’ll learn about that when we come back. COLIN: Alright we're back! I should say that one of the things that I feel about our show is that we're frequently learning things, as opposed to being know-it-alls, so we've been learning a lot while we've been doing this show. One thing we learned, we kind of figured out afterwards - We probably should have videotaped that previous segment, so that the people who are deaf could watch the sign language exchange as it was going on. What we will do is provide a transcript of the show later on, there'll be a printed, written transcript, so you can tell anybody who wants that that it's coming, one of our interns is working on that. But it would be great in some ways just because in fact so much goes on in ASL that it's not just words, it's facial expressions and gestures and stuff, so anyway, that is to come. Meanwhile, this is the second half of our show and as I said, Braille is actually not considered a language. It's a code, or a system for being able to read and write other languages. The first Braille, as you're about to find out, was in French. It can be used for other languages, but it faces challenges, and numerically the challenges that it faces are in some ways more alarming even than what we talk about with American Sign Language. So let me tell you who is here! Steve Famiglietti is here. 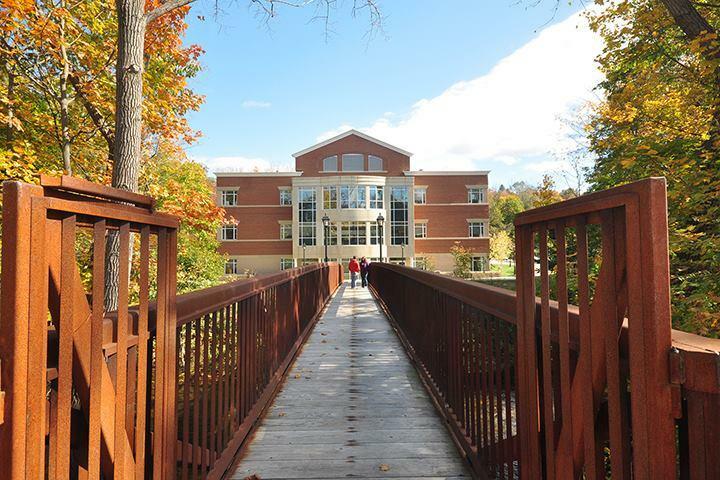 He is a former student at Oak Hill, where he now oversees their Eleanor Brooks Blindness Support Center, and Nicole Feeney, who's an Assistive Technology Specialist and Trainer at Oak Hill, which is Connecticut's largest private provider for people with disabilities. I should say also, a little bit later in the show, we had this all settled, and then because I'm basically an idiot who understands everything through popular culture, this morning, I started thinking, what about "Daredevil"? Daredevil is a blind superhero, and when I was a kid, I read Daredevil comic books, and I thought, Daredevil: does he know Braille? Does he read Braille? And it turns out that the answer is kind of interesting, that Marvel Comics has made some adjustments about this that I think do speak to the conversation we're about to have. But let's first of all, explain what it is. Steve Famiglietti, I'm guessing most people know that it's raised bumps somehow or something, but they probably don't know what actually Braille is, so explain it to them. Steve Famiglietti is head of the Eleanor Brooks Blindness Support Center at Oak Hill and a member of the blind community. STEVE FAMIGLIETTI: Braille is, like you said, it's a system of raised dots. And it's six dots arranged up and down. Three on the left and three on the right. That's what you would call a Braille cell. And what you do is, from that Braille cell, you can have different dots raised, and they represent different letters of the alphabet. COLIN: And if I wanted to send you a letter in Braille, I would need a special machine. How easy is it to create new Braille text? STEVE: You can actually create Braille text simply, in one way, where you could type a document in Microsoft Word, and if you have an embosser, which is a printer that prints in Braille, and you have embossing software, it will translate your written print into Braille. COLIN: And Steve, how many problems does Braille and being able to read Braille solve? I mean, first of all, Braille is only helpful if things are written in Braille. So for example, there are some countries that I think that have Braille-like codes into their currency, so that a blind person can touch a bill and know what it is. I don't think the U.S. currency does that. I think about everything that I do all day long that involves reading a sign, reading this, reading that, using my vision to read a number, or a word to help me know what I'm going to do next. And obviously Braille can only help blind people when it's there in Braille. STEVE: That's absolutely correct, and it presents a number of barriers for people, you know, you go to a restaurant, and there's no Braille menu. That's a problem. COLIN: So how long does it take to learn Braille? Is Braille literacy achieved pretty much at the same rate that sighted literacy would be would be achieved? STEVE: I think it is. I'm not a Braille teacher, so I can't necessarily speak to that, but I can tell you that I know people who have learned to read Braille as children. And the way that they were taught to read Braille and the way that it's reinforced is the same as it is in print. If I take one of these individuals and I watch them now - them producing something in braille with a Perkins Brailler which is the equivalent of an old manual typewriter, they do it the same way. They put the paper in and then they start typing, and it's very natural to them. COLIN: You know we should actually mention that Braille - I had not known this until we got ready for this show - but the Braille was developed kind of out of a system in the French military. So many things come from the military because there's some urgency about not getting shot or not getting killed, so in this case, it was useful to be able to pass messages around without making any noise, right? So the French developed a system that isn't Braille, but was in fact, the trigger for creating Braille. I don't know if there's any more to say about that other than it was actually brought to a man named Louis Braille, writer, who was who was in fact blind. STEVE: Right, and he invented the first Braille in 1824. COLIN: So Nicole, maybe you can give us a sense... Well first of all, one of the statistics that I've read and I don't know if everybody accepts it, but that, you know, say around 1960, roughly fifty percent of blind students read Braille, were fluent, literate in Braille. And now that number may be as low as ten percent. I don't know whether that's the statistic you know or whether you know another one but, so what's going on? Are new technologies coming along here? Nicole Feeney is assistive technology specialist and trainer at Oak Hill, Connecticut’s largest private provider for people with disabilities. NICOLE FEENEY: I believe that what happens and it's, this is a general kind of statement in education across the board too, is that when new technology comes out, people get really excited about it. And they jump on board and they think like, "Oh I have this one tool that I can now latch onto. And I may not need past technology supports that I was using to access information." And I think that doesn't necessarily support all of the needs of a student who might need to access information in multiple ways, and have choices like we do in our everyday access to information and text. COLIN: Well another part of this is neural plasticity, too. We know that we know that when you learn something, when you change what your brain is doing, it changes, physically changes the brain. And we certainly have been able to study extensively, what sighted literacy does to change the brain. I'm assuming, Nicole, that the cognitive effort that would be involved in learning Braille is going to change the brain, is going to rewire the brain in ways that probably increase its utility or its flexibility. NICOLE: Absolutely, and it also depends on the type of learner that you are. There are plenty of people who are very tactile learners, and they like to be able to put their hands on things, and access text that way, as opposed to just being able to listen to it. You have some individuals who have visual impairments, or they're blind, and that is their disability. But you have other students who Steve and I see often that have multiple disabilities and they may have cognitive disabilities where processing something that they're hearing is hard for them, it's difficult for them, because of the processing time that it takes to do that, so tactually might be a better, supportive tool for them. COLIN: Steve, I sense that there are some parallels between this conversation, and the conversation I had earlier about American Sign Language. One of those parallels is, I think, that there's a culture that goes along with Braille. It's not simply this is something you either learn or don't learn, that once you learn it you're part of a culture. You're part of, effectively, a kind of micro society of people who get some of their information that way. How true does that ring to you? STEVE: It is true, in fact before I came here today, I was talking to one of my students, and she said to me, "if you take my Braille away, you take away my language." And it was really powerful. She said, "You know, if I couldn't Braille, I couldn't label my clothing, I couldn't know what was in a can of soup, I couldn't live in my own daily living environment in my house if I couldn't label things in Braille." It was fascinating to hear that from someone. COLIN: So let's hear a really famous Braille reader speaking at the Grammys about this subject. Here is Stevie Wonder. [Clip of Stevie Wonder]: So! I'm going to break this open. Pop it open, you know. OK so, you all can’t read this, huh? You can’t read it! You can’t read Braille! Na na na na! (crowd laughs and cheers) I just want to say before I saying the winner, that we need to make every single thing accessible to every single person with a disability. COLIN: That sounds really great. And I know it's a challenge these days and in fact, Steve, I know that you've been involved in CRIS. And I've been over there with Joanne Nestie at times. Explain what CRIS is and explain what kind of challenges it faces right now. STEVE: Well CRIS stands for Connecticut Radio Information Service, and it's a nonprofit organization that basically has volunteers that come into their studio and in they read various print items to people who otherwise couldn't access them and the users have a receiver in their home, or you can get an app now, and that app or that receiver plays back the broadcasts, and it's a really wonderful service. And I do a podcast on CRIS called "Positive Futures". And that's what CRIS is. COLIN: So CRIS is getting hammered right now in the budget. All kinds of services to all kinds of all vulnerable populations are. But in a way, Steve, it seems like this is a little bit of a double bind, in the sense that, I know from the reading that I've done, that one reason there's been this incredible decline in Braille literacy is there's been a decline in Braille teachers. There's been a decline in the resources that have existed in the past to teach people how to read in Braille. So you've got that on the one hand. But then, some of the stuff like CRIS, which is strictly audio, when that gets cut, it seems as though they're kind of coming at you from both ends of the tunnel. STEVE: That's true, and I would say that the idea that there's this decline in Braille is kind of scary to me and then you look at things like CRIS being cut, and that's scary as well. And when you think about it, if a person is just listening to something, they're listening to a paragraph. They don't know where the capital letters are, they don't know where the periods are, they don't know the difference between T-O, T-O-O, and T-W-O. You don't get that when you don't see that, when you hear it only, but you get that when you have Braille. Braille shows you capital letters, you get your spelling, and you get your punctuation. So I'm a person who is a very strong advocate that we need to continue to teach people to be literate in Braille. COLIN: One of the articles that I read had this - I can't get remember who it was, but a very learned and accomplished blind person, but he was not really a Braille reader saying and complaining about himself, critiquing himself, saying you know, I only recently discovered that D-I-S-S-E-N-T and D-E-S-C-E-N-T are not the same word, they are not spelled the same way, they have all kinds of different meanings, it's just the kind of thing, if you're a strictly audio learner, it's going to take you a much longer time to get. Now, Nicole, once again, this is going to read be a repeat of the previous conversation, but, I don't have it in my pocket right now, but most of the time I have this very clever device in my pocket that can do all kinds of things. And it can have other things loaded onto it so that it can do even more things and. So I'm thinking generationally, there are a lot of young people listening right now who think, you know, Braille just seems so yesterday, there must be all kinds of technology now that can do a kind of conversion that Braille can never do. Faster, speedier... What's out there? What's available now? NICOLE: So it's interesting because I consider myself a fairly young person. And if I were to internalize that I would say, sure, I have a smartphone and it does all sorts of things, and I have assistive technology supports on there that I can use daily to access information or pictures or music. But I don't just use that tool. I go back and I use my computer, I use my desktop or my laptop, I have an iPad. There's so many ways that I use those tools to do different tasks, to make to make my world more accessible and more productive for an efficient for me. And so we have to be able to give individuals opportunities to use different tools in the way that best suits their needs. Nobody just wants to use one tool to do everything. COLIN: I'm totally down with that, I mean, I think I do get why Braille is super important, but just so people do understand, for example, a blind person, confronted with a sign, the way I understand it, you can have an app on your phone that'll take a picture of the sign and then kind of audioize is that right? NICOLE: There's a really cool app. There's a couple of apps actually available on your iPhone that, you can walk into a restaurant and you can take a picture of the menu. And it will scan-extract that text and then read it aloud to you, and you could save it for later! So if you're going to come back to this restaurant often, you just have to pull up your phone every time you walk in the door. COLIN: Alright, we’re to grab a quick break here, we're going to continue this conversation, we are going to tell you what's going on with "Daredevil." I think that's important to know. And also about some of the cultural components of knowing Braille. CHION WOLF: Today's show was produced by Josh Nilaya and me, Chion Wolf. Greg Hill tweets for us @WNPRColin, and our interns are Stephanie Reese and Ross Levin. The part of Bill Curry was played by Matt Murdock. For show pages articles videos and eventually a transcript of today show go to our Website, wnpr.org/colin. On tomorrow's show, The Nose talks about first ladies. And now, back to Colin. COLIN: In just a second, we are going to metaphorically go to Stockholm Sweden and talk to Christine Hanefalk about "Daredevil." But before we get to that, first of all, let me tell you in studio is the very young, Nicole Feeney, assistant technology specialist and trainer at Oak Hill Connecticut's largest private provider for people with disabilities. Steve Famiglietti is here with us, a former student at Oak Hill and now he oversees there the Eleanor Brooks Blindness Support Center. So Steve, one of the problems, if that's the right word with Braille, is that there's just a lot of bulk involved, right? I mean, the example that everybody uses, the Harry Potter series, is like fifty six volumes each, one of those volumes about is about a foot thick. That's a lot of weight and mass and bulk. But to the point of technology there are ways to kind of turbo charge Braille itself so that it can be a little bit more compact. Tell us about the Braille refresher. STEVE: Yeah, there's there are devices called Refreshable braille displays - say that ten times fast - and basically it is a device that you can connect to your computer or I-device or other tablet and it will show you Braille one line at a time as your device auditorily reads to you. So whatever the device says, shows up in Braille, and you can actually read that Braille. And it has a keyboard on it, so that you can type, so you could use it for, you know, reading a book. Or you could use it to type into your device. So you see somebody that has, say, an iPhone, and they connect their Braille display to their iPhone through Bluetooth. And they're operating their phone and they are reading in Braille whatever the phone is saying back to them through the screen reader, which is voice over. And it's really really cool to see that and it cuts down on the bulk of these Braille books that are, you know, fifty volumes in length. COLIN: On the other hand, I gather it's not the most affordable device in the world. STEVE: Right, these things starting out at like $1,200.00. COLIN: I want to come back to this, and I want to leave a plenty of time kinda wrap up our conversation on the future of Braille but, having grown up a comic book nerd, I could not help but wonder as we got ready today, what Daredevil does. Daredevil is Matt Murdock. He's blind, he's famously the first blind superhero. And so I went looking to see if anybody was really writing very much about this, and I found that there is sort of one go-to "Daredevil" blog. If you're going to read about "Daredevil," you're going to read about "Daredevil" in one place first, and where this question has really been taken very seriously. 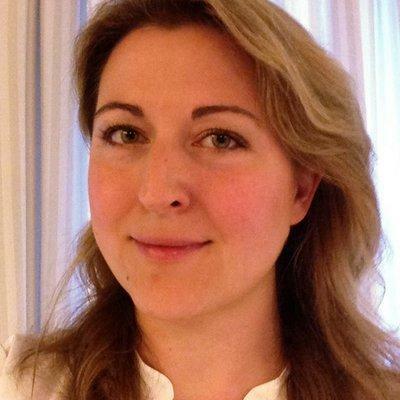 Christine Hanefalk is joining us now from Stockholm, Sweden. First of all, I hope I'm saying your name correctly! CHRISTINE: You are, thank you. COLIN: And you are the editor of creator of the Other Murdoch Papers, that's your blog. So you really look at this and you feel as though the Marvel comic universe has kind of maybe even taken note of the conversation that we're having here right now. Daredevil used to be able to read anything with his fingers because he's kind of got these super senses, he's a superhero, he could take the paper and run his finger over it and be able to read it. But they've gone back, right? Tell us what's going on with Daredevil, and Matt Murdock, and Braille these days. CHRISTINE: First of all, tomorrow is the premiere of the second season of "Daredevil," and when the first season came out last year, I was thinking to myself, I think even put it in a post that I'm thinking, I'm betting they're going to do away with the print reading in the show and I can't say for sure that they have, because I haven't seen the second season yet but it appears that they've done that. The thing with Daredevil of course is aside from being blind, he does have his other remaining senses heightened. So the idea was always that originally when he came out in nineteen sixty four that his sense of touch was so heightened that he could feel the impression of the ink left on the page. Of course there's always been sort of some limitations on this. He did briefly read screens by touch too, which was quite silly and went away in about five seconds, but it seems like over the years, I wouldn't say it's been removed but it's been sort of phased out, and I was thinking that it would make sense in this era, in 2015 which is what at the time for this show, that they would have Matt reading exclusively in Braille. COLIN: Yeah, you said now that he now seems to be kind of a proud Braille reader. CHRISTINE: Yeah, well I think back to one scene in the second episode, which is the flashback scene to when he's young, he's recently been blinded, and he's in the gym with his father who was a boxer and his father's boxing in the background and he's sitting there practicing with his Braille reading and of course they have a scene where they kind of make a point of his father coming up to him and asking him how is he doing and he started explaining what he's doing and he sounds quite proud of it. And there's also another scene in the seventh episode where he is with his extremely strict sensei master, Stick, who is not exactly a very nice guy but he was also blind. Matt brings out, you know like, Oh I'm smart. You know, I'm you know I can read. He doesn't really make any references to dad as an adult in the show but pretty much all the reading that he actually does is either printed, like Braille on paper or he is using a refreshable Braille display as you mentioned earlier. COLIN: Alright, well listen, thanks for sharing that, I mean, I'm fascinated to know that this conversation and even the refreshable Braille display, is something that's being dealt with in the comics. We only have a short time left but, Steve, I'm going to start with you. How worried are you about Braille, I mean, if that ten percent number is a real number, that's pretty scary, right? That's a very low number compared to what Braille was in terms of general fluency among the blind population in 1960. STEVE: It is scary but I'm a glass is always half full kind of person. And I know in Connecticut, for example, we have a shortage of teachers of the visually impaired, and these folks teach each kids how to read Braille and they are basically looking to hire more teachers. So at least here in Connecticut, I would say that if there's more teachers of the visually impaired that are going to be hired in our state, that that that might help that number go up a little bit. COLIN: And Nicole, what would you say to do a fifteen year old or a ten year old or whatever, who said "you know what? I really don't need it. No point. I've got all the technology I need. I don't need Braille." How would you answer that? NICOLE: I would say don't limit your potential. And you always want to have opportunities for for new technology in your life. That technology evolves and so do we, but we want to keep our options open so that we can have as much success as possible. COLIN: Do you have that conversation? NICOLE: Self advocacy is one of the most talked-about topics that I have with students when I go in and do evaluations on them that they have to own the... You know, the kinds of technology that they're using in their everyday life, whether that's at work, home, or school. And they have to ask for it, and they have to know what's available to them so that they can benefit from all of the supports that are there. COLIN: All right! Steve Famiglietti, who now oversees the Eleanor Brooks Blindness Support Center at Oak Hill School, and Nicole Feeney, System Technology Specialist at Oak Hill. Thanks for being with us today! Thanks to Josh Nilaya, this show was his idea. We'll be back tomorrow with The Nose! Will a Modernized Handicapped Symbol Replace the Old Symbol in Connecticut? Governor Dannel Malloy's proposal to change the traditional handicapped symbol had its first public hearing Monday in Hartford. Disability rights advocates are divided on the issue. It's a warning sign at art museums around the world: "Don't touch the artwork." But Spain's famous Prado Museum is changing that, with an exhibit where visitors are not only allowed to touch the paintings — they're encouraged to do so. 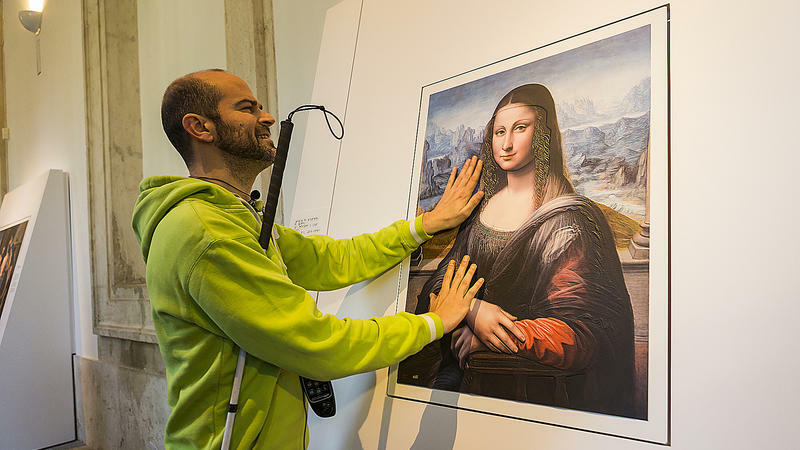 The Prado has made 3-D copies of some of the most renowned works in its collection — including those by Francisco Goya, Diego Velazquez and El Greco — to allow blind people to feel them. It's a special exhibit for those who normally can't enjoy paintings. Lisa Rosengrant lost her hearing when she was three. She's now a college student, and she can hear somewhat with the help of hearing aids. But she still has trouble taking notes in class.